One of my favorite quotes comes from the IEEE Signal Processing magazine in 2010. They attempted to answer the question: What does ultra-low power consumption mean? And they came to the conclusion that it is where the “power source lasts longer than the useful life of the product.” It’s a great answer because it’s scalable. It applies equally to signal processing circuitry inside an embedded IoT device that can never be accessed or recharged and to signal processing inside a car where the petrol for the engine dominates the operating lifetime, not the signal processing power. It also describes exactly what a lot of science fiction has always envisioned: no changing or recharging of batteries, which people forget to do or never have enough batteries for. Rather, we have devices that simply always work. My research focuses on healthcare applications and creating “wearable algorithms”—that is, signal processing implementations that fit within the very small power budgets available in wearable devices. 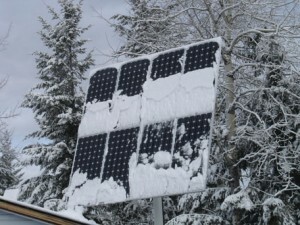 Historically, this focused on data reduction to save power. It’s well known that wireless data transmission is very power intensive. By using some power to reduce the amount of data that has to be sent, it’s possible to save lots of power in the wireless transmission stage and so to increase the overall battery lifetime. This argument has been known for a long time. There are papers dating back to at least the 1990s based on it. It’s also readily achievable. 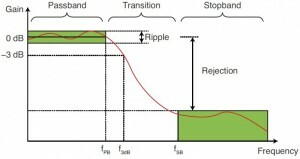 Inevitably, it depends on the precise situation, but we showed in 2014 that the power consumption of a wireless sensor node could be brought down to the level of a node without a wireless transmitter (one that uses local flash memory) using easily available, easy-to-use, off-the-shelf-devices. This essay appears in Circuit Cellar 316, November 2016. Subscribe to Circuit Cellar to read project articles, essays, interviews, and tutorials every month! 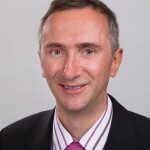 Today, there are many additional benefits that are being enabled by the emerging use of ultra-low power signal processing embedded in the wearable itself, and these new applications are driving the research challenges: increased device functionality; minimized system latency; reliable, robust operation over unreliable wireless links; reduction in the amount of data to be analyzed offline; better quality recordings (e.g., with motion artifact removal to prevent signal saturations); new closed-loop recording—stimulation devices; and real-time data redaction for privacy, ensuring personal data never leaves the wearable. It’s these last two that are the focus for my research now. They’re really important for enabling new “bioelectronic” medical devices which apply electrical stimulation as an alternative to classical pharmacological treatments. These “bioelectronics” will be fully data-driven, analyzing physiological measurements in real-time and using this to decide when to optimally trigger an intervention. Doing such as analysis on a wearable sensor node though requires ultra-low power signal processing that has all of the feature extraction and signal classification operating within a power budget of a few 100 µW or less. To achieve this, most works do not use any specific software platform. Instead they achieve very low-power consumption by using only dedicated and highly customized hardware circuits. 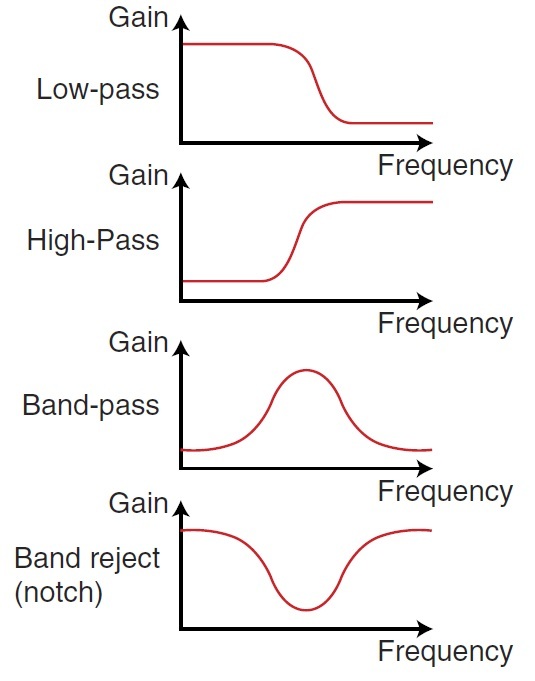 While there are many different approaches to realizing low-power fully custom electronics, for the hardware, the design trends are reasonably established: very low supply voltages, typically in the 0.5 to 1 V range; highly simplified circuit architectures, where a small reduction in processing accuracy leads to substantial power savings; and the use of extensive analogue processing in the very lowest power consumption circuits. 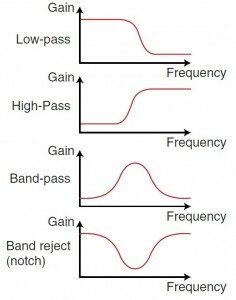 Less well established are the signal processing functions for ultra-low power. 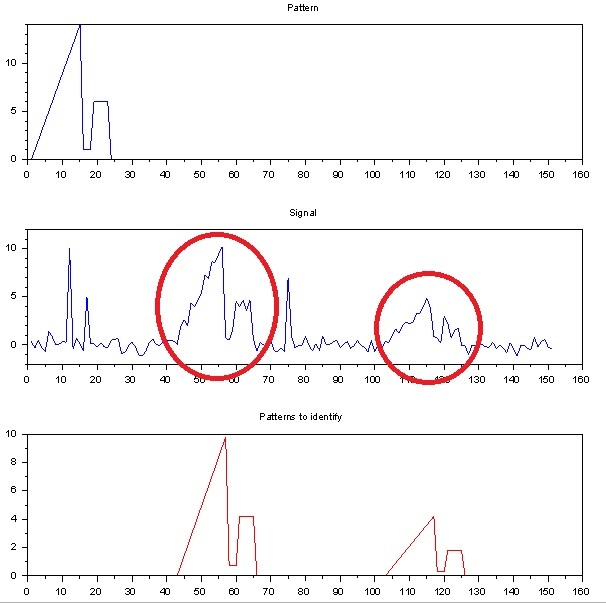 Focusing on feature extractions, our 2015 review highlighted that the majority (more than half) of wearable algorithms created to date are based upon frequency information, with wavelet transforms being particularly popular. This indicates a potential over-reliance on time–frequency decompositions as the best algorithmic starting points. 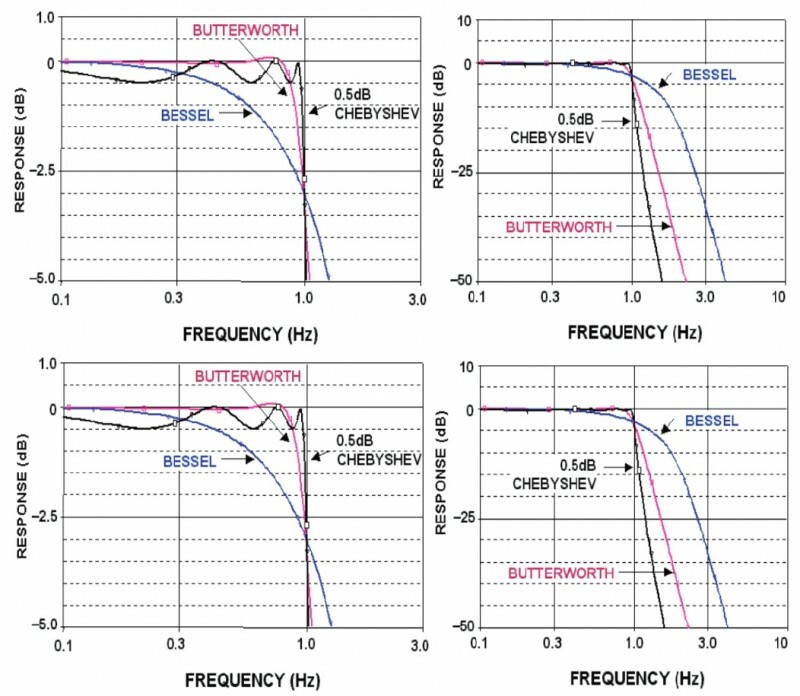 It seems unlikely that time–frequency decompositions would provide the best, or even suitable, feature extraction across all signal types and all potential applications. 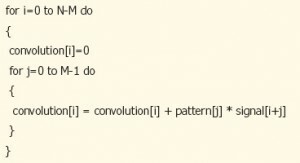 There is a clear opportunity for creating wearable algorithms that are based on other feature extraction methods, such as the fractal dimension or Empirical Mode Decomposition. Investigating this requires studying the three-way trade-off between algorithm performance (e.g., correct detections), algorithm cost (e.g., false detections), and power consumption. 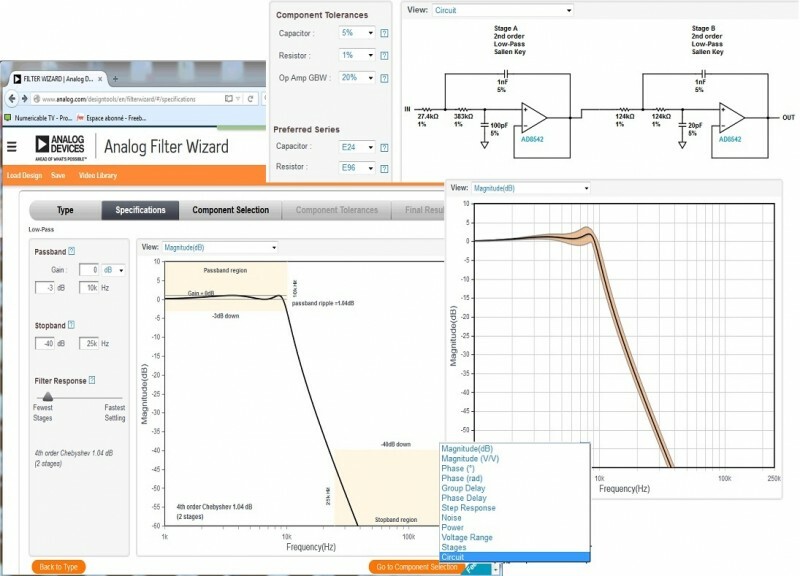 We know how to design signal processing algorithms, and we know how to design ultra-low power circuitry. However, combining the two opens many new degrees of freedom in the design space, and there are many opportunities and work to do in mapping feature extractions and classifiers into sub-1-V power supply dedicated hardware. 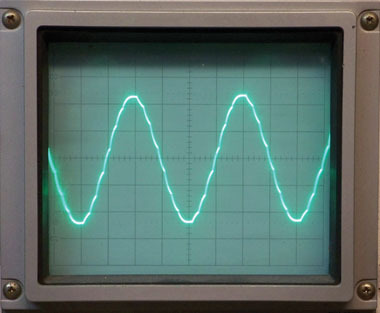 G. Frantz, et al, “Ultra-low power signal processing,” IEEE Signal Processing Magazine, vol. 27, no. 2, 2010. S. A. Imtiaz, A. J. Casson, and E. Rodriguez-Villegas, “Compression in Wearable Sensor Nodes,” IEEE Transactions on Biomedical Engineering, vol. 61, no. 4, 2014. A. J. Casson, et al, “Wearable Algorithms,” in E. Sazonov and M. R. Neuman (eds. ), Wearable Sensors, Elsevier, 2014. A. J. Casson, “Opportunities and Challenges for Ultra Low Power Signal Processing in Wearable Healthcare,” 23rd European Signal Processing Conference, Nice, 2015. 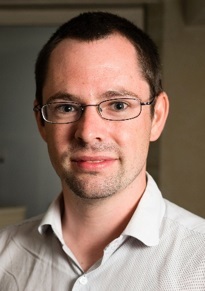 Alex Casson is a lecturer in the Sensing, Imaging, and Signal Processing Department at the University of Manchester. His research focuses on creating next-generation human body sensors, developing both the required hardware and software. Dr. Casson earned an undergraduate degree at the University of Oxford and a PhD from Imperial College London. 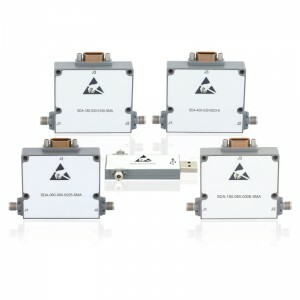 Fairview Microwave recently released a new family of digitally controlled programmable attenuators with performance up to 40 GHz and up to 60 dB attenuation range with 0.03 dB minimum step size. 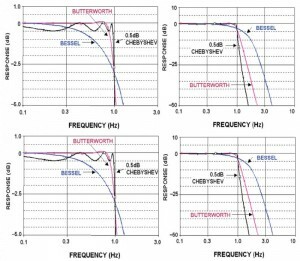 The digitally controlled attenuators adjust the amplitude of signal levels in a variety of applications (e.g., electronic warfare, aerospace communication systems, and test/measurement systems). The designs utilize PIN diode semiconductor technology that generates extremely fast switching performance between attenuation states over wide frequency bands. 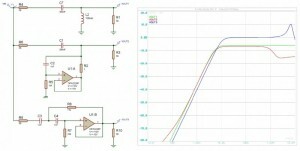 The integrated TTL driver logic control bit circuitry ranges from 5 to 10 binary bits. The command control interface is via a 15-pin female Micro-D socket or USB connector. The circuits are enclosed in environmentally sealed metal packages with epoxy paint finish with either stainless steel SMA or 2.92-mm connectors. Guaranteed operating performance covers a temperature range of –50°C to 85°C. All the models available in-stock and ready for immediate shipment. Intersil Corp.’s low-power ISL29501 time-of-flight (ToF) signal processing IC is an object detection and distance measurement solution when combined with an external emitter (e.g., LED or laser) and photodiode. Intended for Internet of Things (IoT) applications and consumer mobile devices, the ISL29501 offers precision long-range accuracy up to 2 m in both light and dark ambient light conditions. 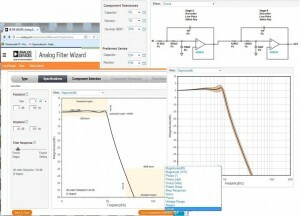 You can select an emitter and photodiode and then configure a custom low-power ToF sensing system. 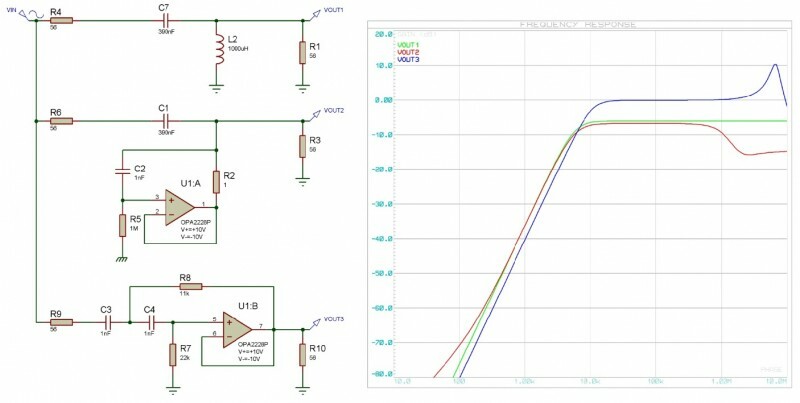 The ISL29501’s on-chip emitter DAC with programmable current up to 255 mA enables you to select the desired current level for driving the external infrared (IR) LED or laser. This feature enables optimization of distance measurement, object detection, and power budget. In addition, the ISL29501 can perform system calibration to accommodate performance variations of the external components across temperature and ambient light conditions. The ISL29501 is available in a low profile 4 mm x 5 mm, 24-lead TQFN package for $4.87 USD in 1,000-piece quantities. The ISL29501-ST-EV1Z reference design board costs $250. Microsemi Corp. today announced availability of its RTG4 high-speed, signal-processing radiation-tolerant FPGA family. The RTG4’s reprogrammable flash technology offers complete immunity to radiation-induced configuration upsets in the harshest radiation environments, requiring no configuration scrubbing, unlike SRAM FPGA technology. 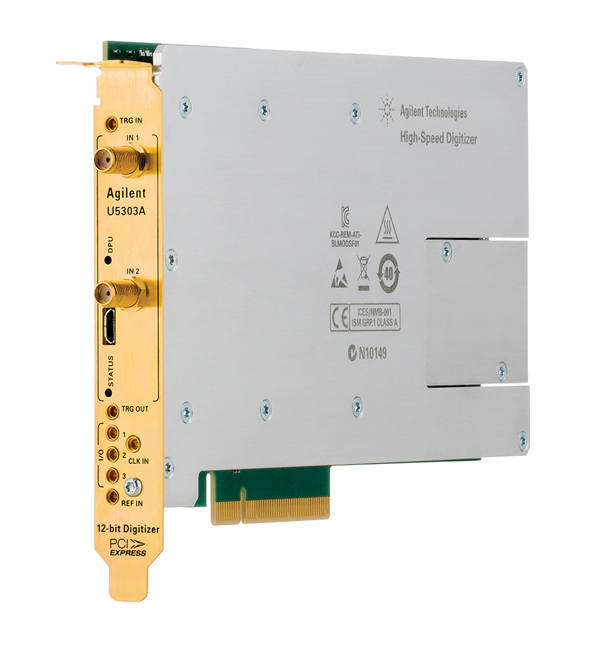 RTG4 supports space applications requiring up to 150,000 logic elements and up to 300 MHz of system performance. Typical uses for RTG4 include remote sensing space payloads, such as radar, imaging and spectrometry in civilian, scientific and commercial applications. These applications span across weather forecasting and climate research, land use, astronomy and astrophysics, planetary exploration, and earth sciences. Other applications include mobile satellite services (MSS) communication satellites, as well as high altitude aviation, medical electronics and civilian nuclear power plant control. Such applications have historically used expensive radiation-hardened ASICs, which force development programs to incur substantial cost and schedule risk. RTG4 allows programs to access the ease-of-use and flexibility of FPGAs without sacrificing reliability or performance. 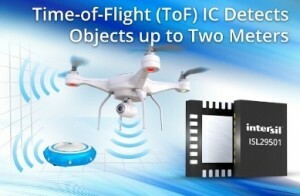 The flexibility, reliability and performance of RTG4 FPGAs make it much easier to achieve this. 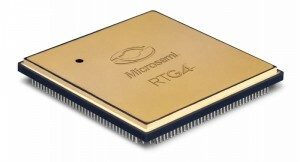 RTG4 is Microsemi’s latest development in a long history of radiation-tolerant FPGAs that are found in many NASA and international space programs. Engineering silicon, Libero SoC development software, and RTG4 development kits are available now. RTG4 FPGAs and development kits have already shipped to some of the 120+ customers engaged in the RTG4 lead customer program. Flight units qualified to MIL-STD-883 Class B are expected to be available in early 2016. 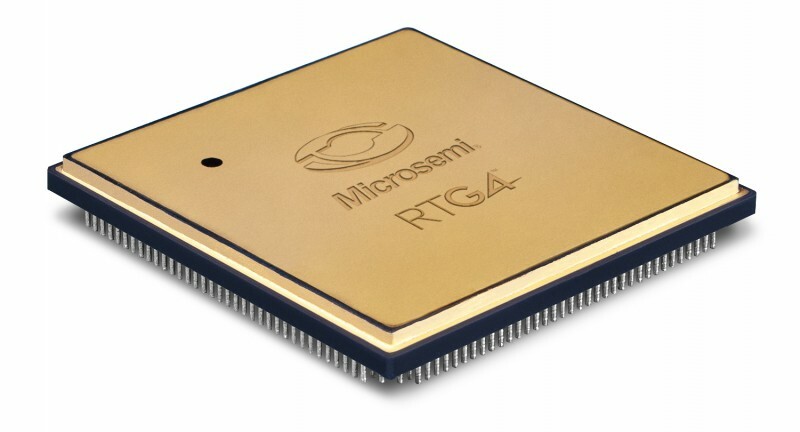 Microsemi will present more information on RTG4 FPGAs in a live webinar on May 6 and will also be hosting Microsemi Space Forum events in the U.S., India and Europe starting in June, presenting information on RTG4 FPGAs and the extensive range of Microsemi space products. Shlomo Engelberg, an associate professor in the electronics department of the Jerusalem College of Technology, is well-versed in signal processing. 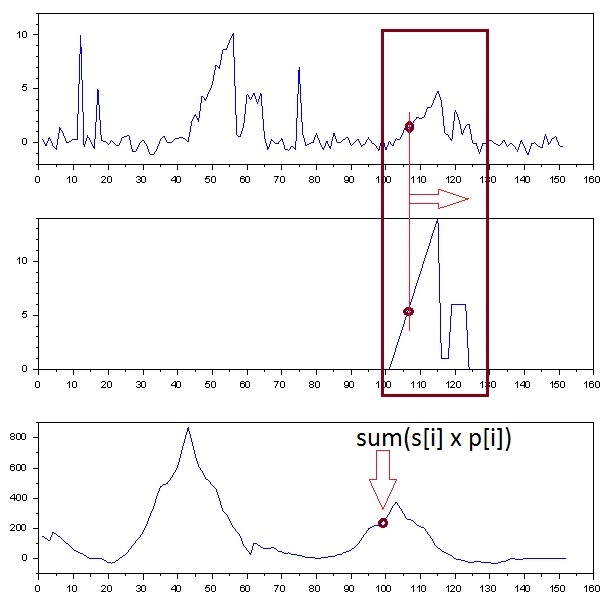 As an instructor and the author of several books, including Digital Signal Processing: An Experimental Approach (Springer, 2008), he is a skilled guide to how to use the UART “protocol” to implement systems that transmit and receive data without a built-in peripheral. 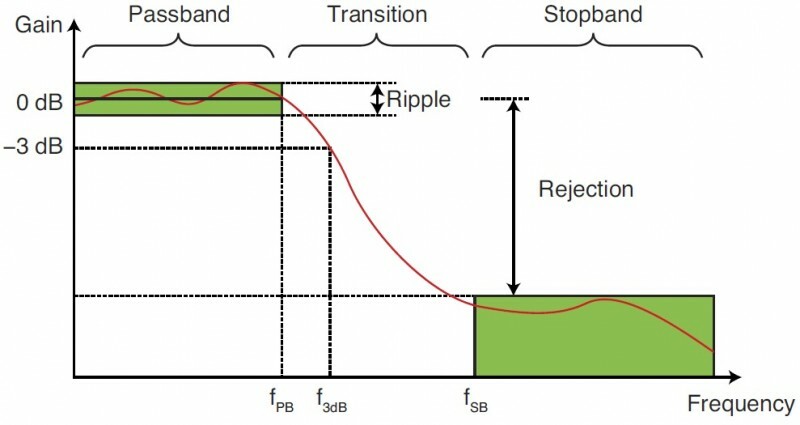 Implementing serial communications using software rather than hardware is called bit-banging, the topic of his article in Circuit Cellar’s June issue. UART stands for universal asynchronous receiver/transmitter. The last three words in the acronym are easy enough to understand. “Asynchronous” means that the transmitter and the receiver run on their own clocks. There is no need to run a wire between the transmitter and the receiver to enable them to “share” a clock (as required by certain other protocols). The receiver/transmitter part of the acronym means just what it says: the protocol tells you what signals you need to send from the transmitter and what signals you should expect to acquire at the receiver. Figure 1: The waveform output by a microprocessor’s UART is shown. While “at rest,” the UART’s output is in the high state. The transmission begins with a start bit in which the UART’s output is low. The start bit is followed by eight data bits. Finally, there is a stop bit in which the UART’s output is high. Before you can use a UART to transfer information from device to device, the transmitter and receiver have to agree on a few things. First, they must agree on a transmission speed. They must agree that each transmitted bit will have a certain (fixed) duration, denoted TBIT. A 1/9,600-s duration is a typical choice, related to a commonly used crystal’s clock speed, but there are many other possibilities. Additionally, the transmitter and receiver have to agree about the number of data bits to be transmitted each time, the number of stop bits to be used, and the flow control (if any). When I speak of the transmitter and receiver “agreeing” about these points, I mean that the people programming the transmitting and receiving systems must agree to use a certain data rate, for example. There is no “chicken and egg” problem here. You do not need to have an operational UART before you can use your UART; you only need a bit of teamwork. Why must this protocol include start and stop bits? The transmitter and the receiver do not share a common clock, so how does the receiver know when a transmission has begun? 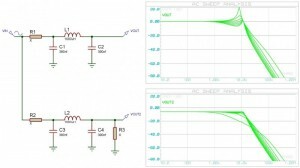 It knows by realizing that the wire connecting them is held high while a transmission is not taking place, “watching” the wire connecting them, and waiting for the voltage level to transition from high to low, which it does by watching and waiting for a start bit. When the wire leaves its “rest state” and goes low, the receiver knows that a transmission has begun. The stop bit guarantees that the line returns to its “high” level at the end of each transmission. Transmissions have a start and a stop bit, so the UART knows how to read the two words even if one transmits that data word 11111111 and follows it with 11111111. Because of the start and stop bits, when the UART is “looking at” a line on which a transmission is beginning, it sees an initial low level (the start bit), the high level repeated eight times, a ninth high level (the stop bit), and then the pattern repeats. The start bit’s presence enables the UART to determine what’s happening. If the data word being transmitted were 00000000 followed by 00000000, then the stop bit would save the day. The type of UART connection I describe in this article only requires three wires. One wire is for transmission, one is for reception, and one connects the two systems’ grounds. The receiver and transmitter both know that each bit in the transmission takes TBIT seconds. After seeing a voltage drop on the line, the receiver waits for TBIT/2 s and re-examines the line. If it is still low, the receiver assumes it is in the middle of the start bit. It waits TBIT seconds and resamples the line. 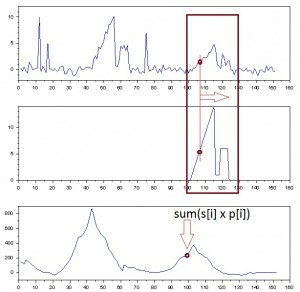 The value it sees is then used to determine data bit 0’s value. The receiver then samples every TBIT seconds until it has sampled all the data bits and the stop bit. 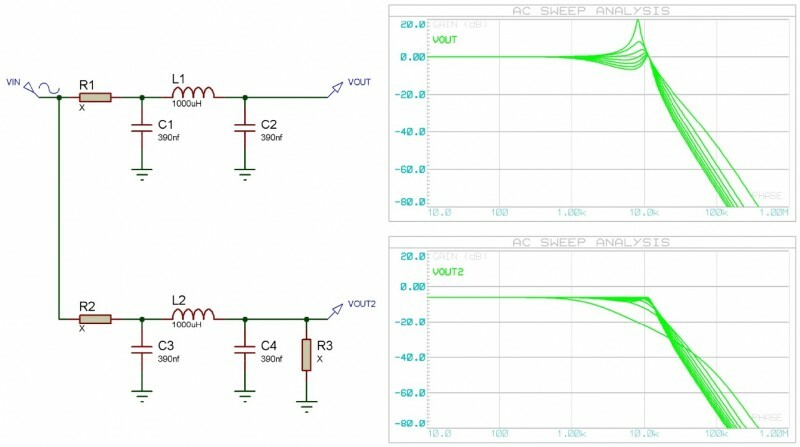 Engelberg’s full article, which you can find in Circuit Cellar’s June issue, goes on to explain UART connections and how he implemented a simple transmitter and receiver. 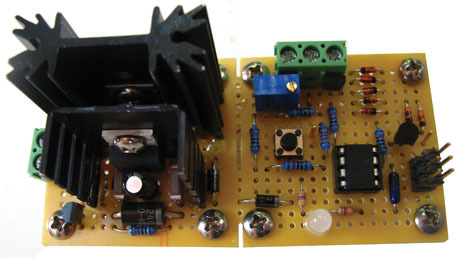 For the projects outlined in his article, he used the evaluation kit for Analog Devices’s ADuC841.